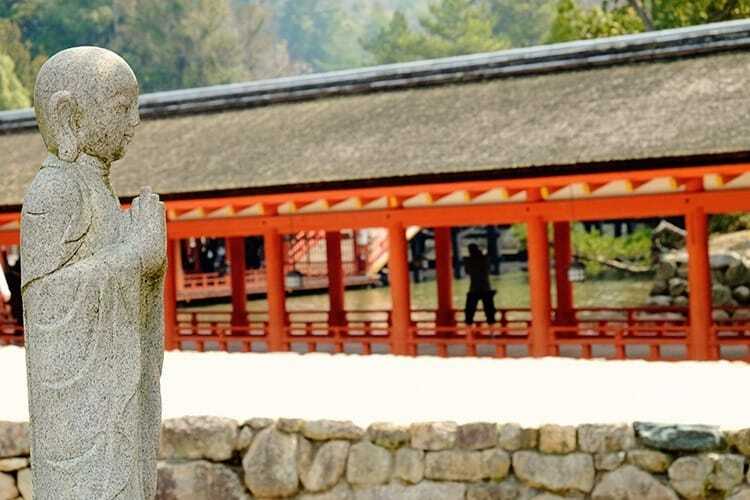 A trip to Japan will remain incomplete if you don’t visit Miyajima: The Island of Gods. 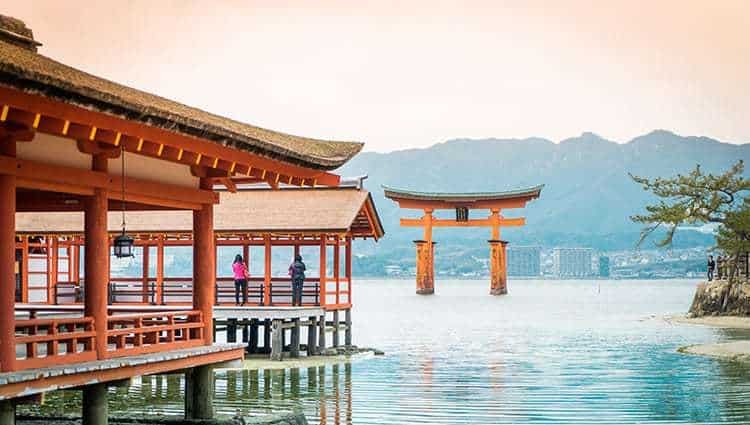 It’s a small island located just outside of Hiroshima city and is most famous for its gigantic Torii gate, which appears to float on water during high tide. 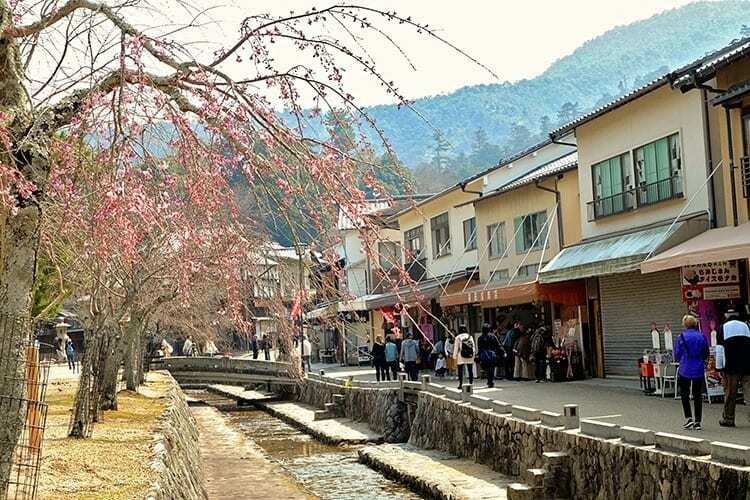 In fact, this site ranks among Japan’s top three views! 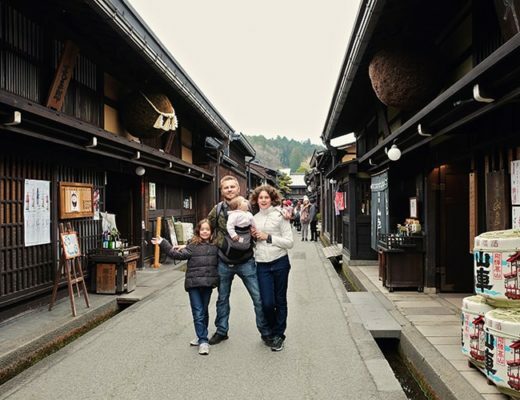 Miyajima is not only a romantic destination but offers plenty of things to see and do as a family. We stayed on the island for two nights with our two kids, and it turned out to be one of the best family travel experiences ever. 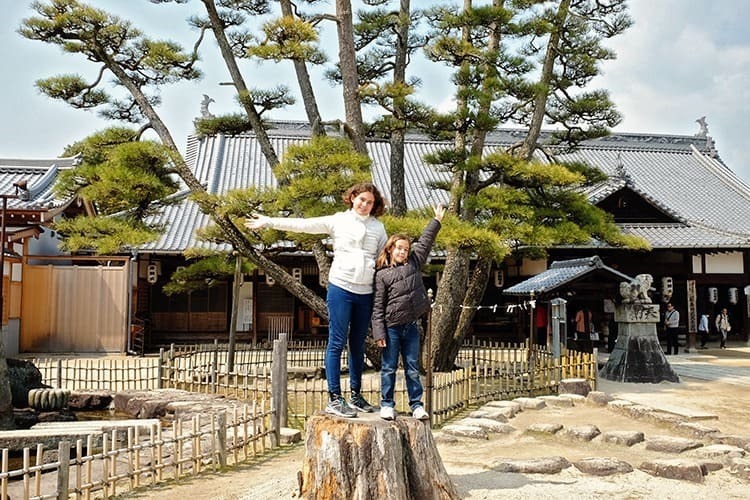 I highly recommend that you at least stay overnight to check out these top five destinations along with the little ones. 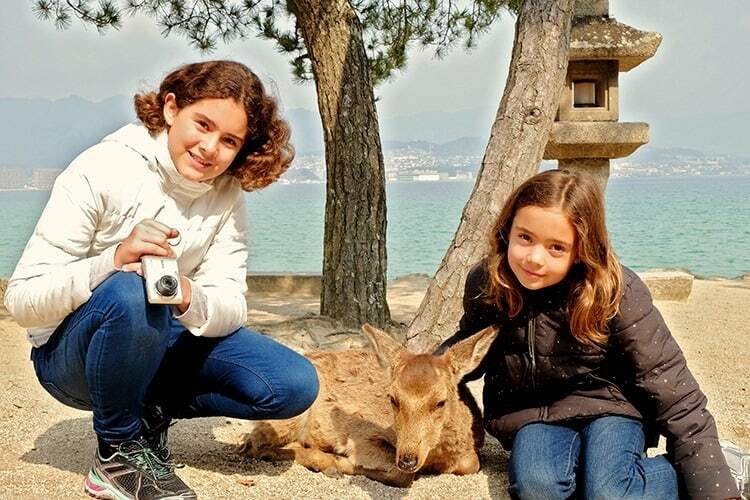 Find below a list of suggestions to help keep you and your kids busy whilst visiting beautiful Miyajima Island in Japan. 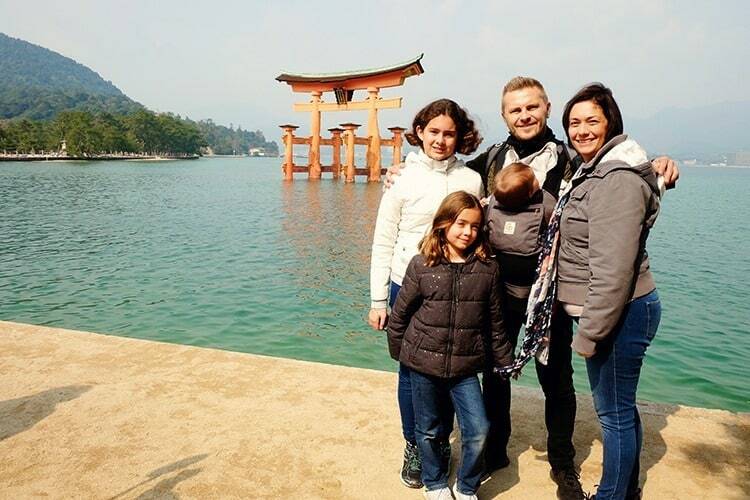 This “Floating Shrine on the Sea” is a registered World Heritage Site, and is believed to be more than 1400 years old! 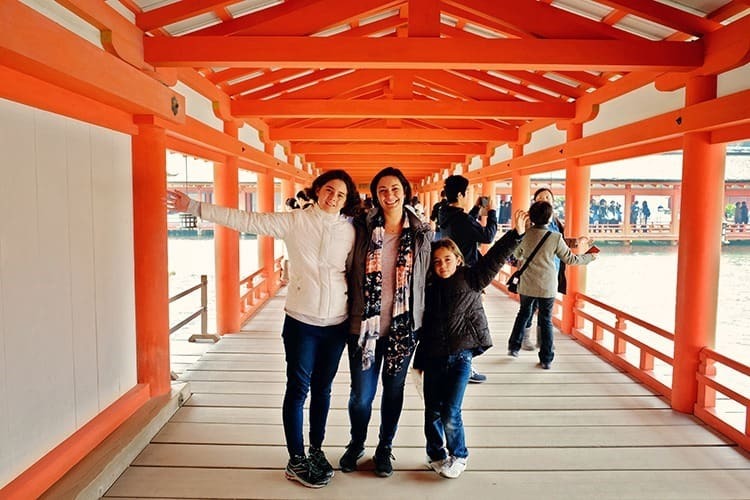 Even if the ancient myths surrounding the Shrine doesn’t fascinate your kids, they’ll be bound to appreciate the contrast of the vermillion lacquered shrine architecture against the Prussian blue sea, with the surroundings covered by virgin green forests. 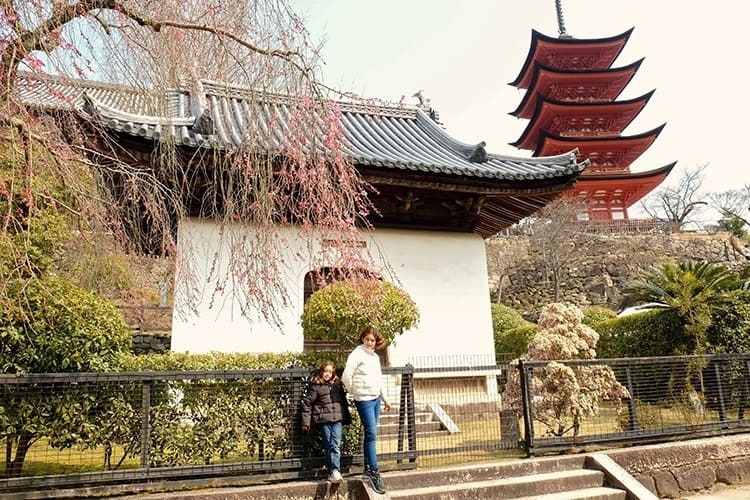 While the kids run around and play (respectfully, of course), you could get immersed by the Shrine’s spiritual vibe that will transport you to the classic Heian Era. And don’t forget to visit the gigantic Torii Gate as well! Now here’s a destination especially the kids will love! 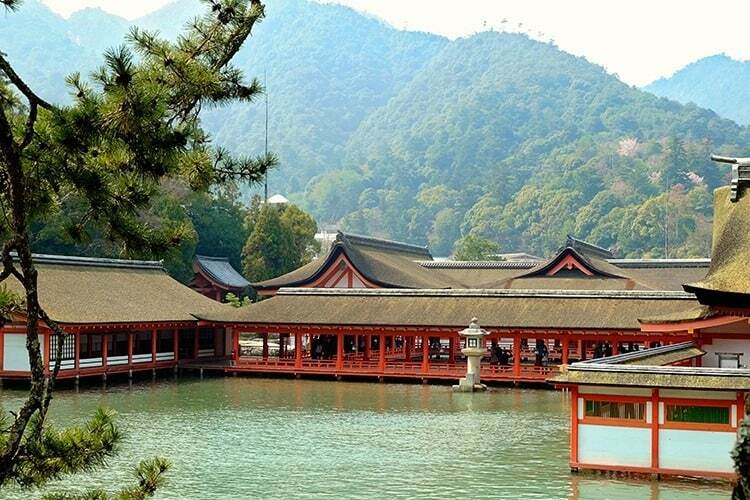 Miyajima Public Aquarium stands at the far western end of the town area and gives its visitors a chance to get familiar with the aquatic life of salt and fresh waters of Miyajima and the Seto Inland Sea. 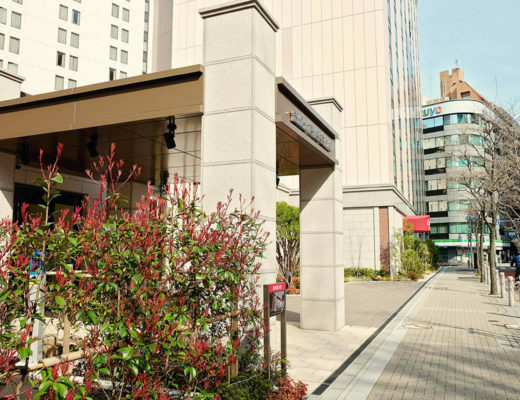 You can get up close and personal with penguins, hold starfish by your palm, and explore the model oyster farm that represents the farms around Miyajima Island. Oysters are a local favorite of the Hiroshima Prefecture. 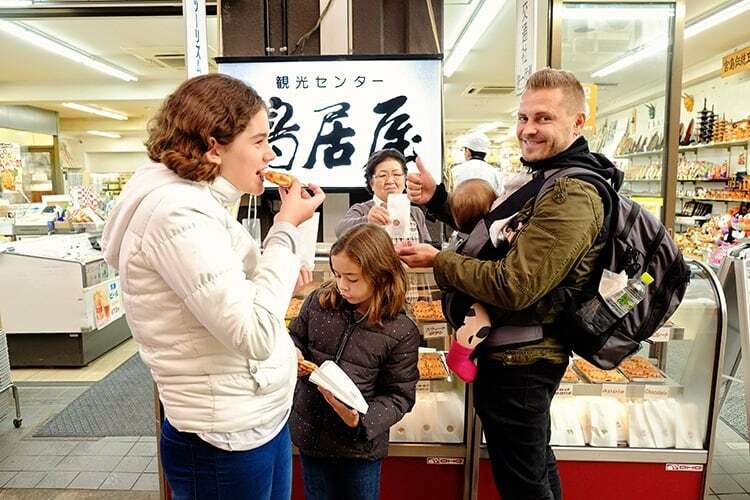 Nothing will engage your kids more than getting involved in arts and crafts lessons where they get to recreate some of Japan’s most favorite cultural items. 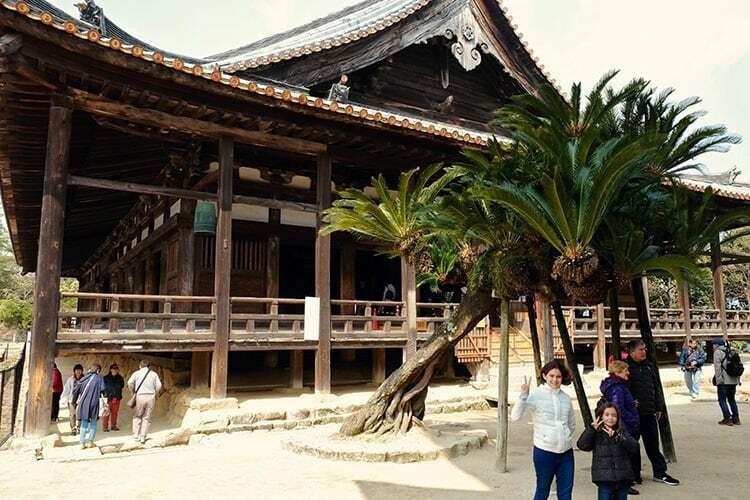 While the children remain busy decorating wooden rice spoons or making their own Momiji manju, you can learn about some traditions and history of Miyajima Island through other hands-on experiences. 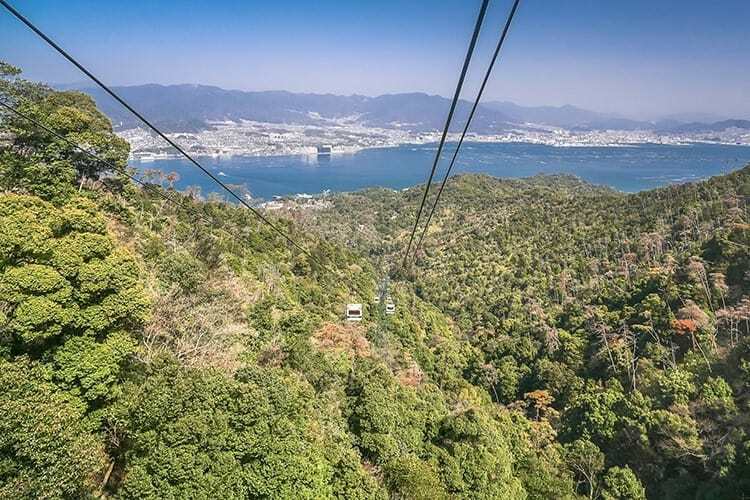 A trip to the peak of Mount Misen is something your kids will enjoy, especially if you take the ropeway leading all the way up to the top. It is the highest peak of the island and stands at 500 m above sea level, giving you spectacular views of distances as far as Hiroshima city. There are also quite a few Buddhist structures to see near the peak. 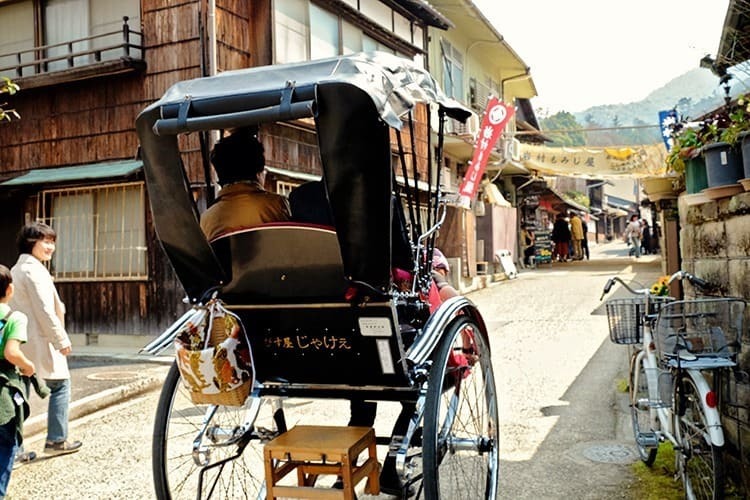 One of the most relaxing ways you can experience Miyajima as a family is by going on a walk along one of its many charming trails. You can discover many excellent lookout points that’ll give you a glimpse into the island’s natural forestry, architecture, and wildlife habitat, among which the deer is most common. Don’t worry; the animals are friendly and used to being petted by tourists and locals alike. I bet your kids will relish this experience for many years to come! 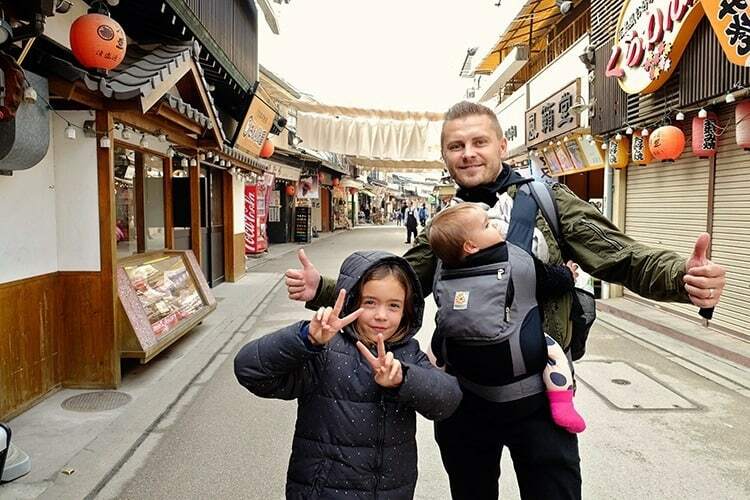 For the most part, we just really enjoying strolling and exploring and finding beautiful hidden streets and corners. So take a step back, slow down and truly just enjoy soaking it all in. And we loved eating and trying new things! 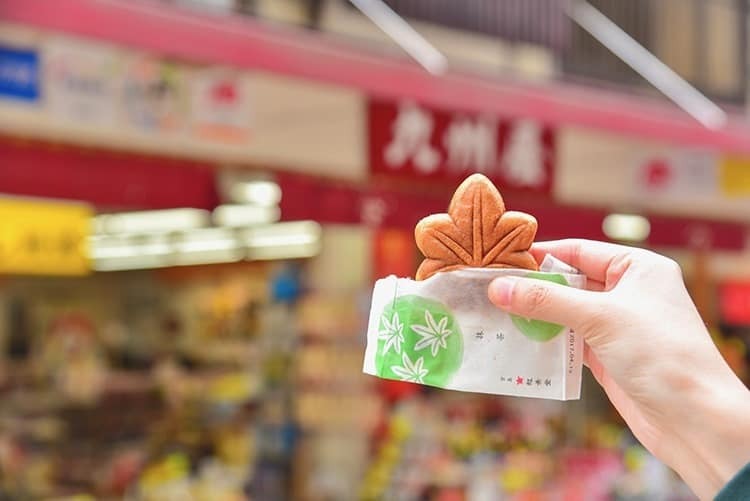 The yummy Momiji manju were a favorite! We especially loved them with the caramel filling! Yummmm!! We loved our time on the island and highly recommend that you stay for at least 2 nights. There is something magical about watching the sun set and rise over the magnificent Tori Gate. 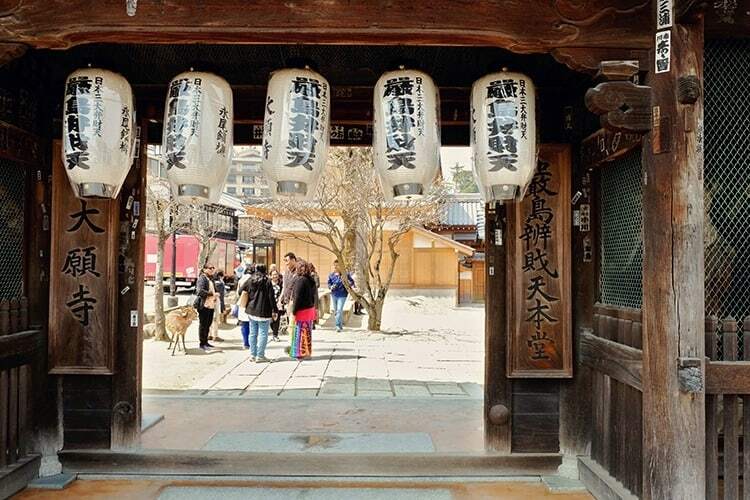 Is Miyajima on your list of places to see? Are you planning on seeing the island on a day trip or will you be staying a few nights? 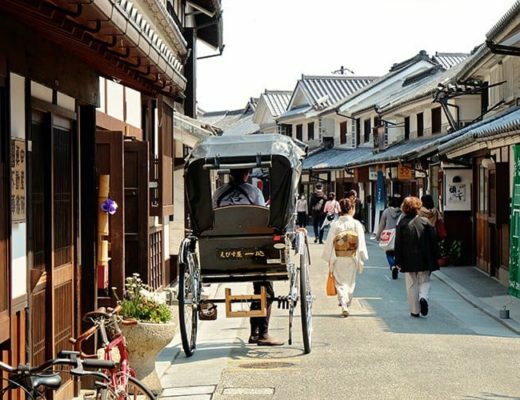 Kurashiki, Japan Guide: The most Picturesque Town in Japan?